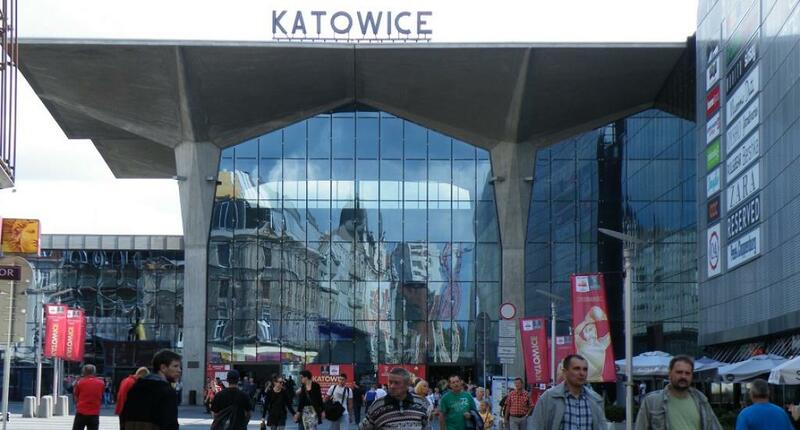 The 24th meeting of the Conference of Parties (CoP) will take place from December 2-14, 2018, at Katowice, Poland. The mandate is daunting—to finalise the Rule Book for implementation of the 2015 Paris Agreement. Right now, what exists is a draft 307-page text that would form the basis of negotiations at Katowice. As it stands, the text contains several options and proposals by Parties on different elements related to the Paris Agreement including reporting on Nationally Determined Contributions or NDCs, enhanced transparency framework (for reporting on ambition and support), global stocktake (for collective assessment of progress towards climate goals), adaptation communications (to assess needs and gaps in adaptation efforts), financial communications, new market mechanism (carbon markets) and loss and damage (due to climate impacts). On a good note, the draft text is representative and reflects ownership of the Parties but would require skillful negotiating capabilities and a spirit of compromise to finalise the Rule Book. The Paris Agreement, which was adopted on December 12, 2015, has the prime goal to curb dangerous temperature rise to well below 2 degrees Celsius (°C) and strive for 1.5°C. In the last three years, Parties have been working towards the mandate to agree on a set of reporting and accounting requirements to implement the Agreement, which would become operational in 2020. This has also been the time period when extreme weather events have inflicted havoc on every part of the world in the form of unseasonal rainfall, droughts, heatwaves, forest fires and dust storms. However, contrary to expectations that the negotiations would reflect the urgency to implement the Paris Agreement, which is the prime consensual arrangement that we have to address climate change, the negotiations have been conducted at a rather tardy pace. Developments such as the Trump Administration’s announcement to pull out from the Paris Agreement and the fear of other countries following suit, an absence of clear leadership to steer the course of negotiations and the extreme technical nature of negotiations has further made the process of negotiations slow-paced. Not only does it seem an extremely mammoth task to finalise the Rule Book since practically everything needs to be consented, more important is the need to have a balanced, just and ambitious Rule Book, which can serve as the blueprint for ambitious climate actions from 2020 onwards. As the Rule Book prioritises reporting requirements (in the form of NDCs, Adaptation Communications and Financial Reports), the challenge is of clearly demarcating the scope and content to avoid duplication and overlapping. For instance, on the issue of guidelines for NDC reporting, the draft Rule Book proposes options regarding scope, methodologies, baselines, reporting on fairness, ambition and equity, the domestic planning processes, mechanisms and policies. On new market mechanisms (NMMs), Parties are discussing the form and measurement of tradable units, referred to as the Internationally Transferable Mitigation Outcomes (ITMOs), the linkages between different sub-sections under market mechanisms, the nature of the supervisory body overseeing the mechanism and restrictions on the use of markets towards the fulfillment of countries’ NDC. Discussions also focus on the Kyoto Regime’s Clean Development Mechanism (CDM) projects and its integration in the new regime. However, this has the potential to subvert environmental integrity of NMMs by reviving a highly profit-oriented and failed approach to markets. Regarding enhanced transparency framework, countries have proposed options related to reporting on a Greenhouse Gas (GHG) inventory as well as the form and duration of the submission of a transparency report. Developing countries have proposed financial support and flexibility, which are mentioned in the Paris Agreement but are open to interpretations. In our view, flexibility must only be for the least developed and island countries that require it the most, as opposed to emerging economies. Under the Paris Agreement, Parties are also required to submit adaptation communications which would provide a better and clearer picture of what they are doing in terms of adaptation actions, their needs, gaps and learnings, and best practices without causing additional reporting burdens on them in addition to support. All this is essential for the preparation of adaptation communications. A crucial top-down element in the Paris Agreement is the Global Stocktake, meant to assess collective efforts of climate actions in 2023. Collective could also encompass region wise and economic division of countries (high, middle and low income) could be an option for assessment. Loss and damage does not find a separate section in the Rule Book but is sprinkled in the other aspects involving the sources of inputs in the GST, reporting requirements within NDC, transparency framework and adaptation communications. It is crucial that this issue does not get sidelined at Katowice, as in previous climate meetings. Finance is one of the most pressing bottle neck issues in climate change. The Paris Agreement maintains differentiation in the issue of finance mandating developed countries to take the lead. Article 9.7 and 9.5 under the Paris Agreement talks of ex-ante reporting and ex-post reporting on finance respectively, which is also a bone of contention between developed and developing countries, with the European Union and the United States (US) blocking any meaningful outcomes on finance. The momentum in pushing developed countries to provide ex-ante financial information must be sustained. Countries are also discussing ways to specify climate additional finance, the nature of channels of financial flows, parity of finance between mitigation and adaptation finance, and on mobilisation of finance by public and private sources. This CoP would also see the political phase of the ongoing Talanoa Dialogue or the informal dialogue and discussions between different stakeholders including businesses and civil society to increase ambition. The dialogue started ahead of the intersession in Bonn in May 2018. Equity has been deemed as the core of the global climate regime and the Paris Agreement also upholds equity, albeit in principle. As seen above, equity is prevalent on the issues of reporting on NDCs by reporting on fairness, adequacy and ambition; in global stocktake and in ex-ante financial reporting which would also bring the question of adequacy of financial resources. However, operationalising it has been a herculean task. In the past too, Parties have always opposed prescriptive ways of raising climate ambition. The US has been an obstructionist in the climate regime and has advocated re-negotiation of the Paris Agreement to suit American interests. It is expected that at Katowice too, it would push for its stance and would try to undermine justice and oppose equity and outcomes on finance. To deal with the US collectively thus becomes crucial. With better bargaining clout and diplomatic capabilities, developed countries have had the upper hand in negotiations, with outcomes in the past titled in their favour. This needs to change. Developing countries must collectively hold their ground and push for balanced outcomes. Raising ambition in accordance with science--A Rule Book plus approach? This year is crucial, with the Intergovernmental Panel on Climate Change or IPCC coming out with its Special Report which has made it clear that with current climate efforts, the 1.5°C limit could be breached between 2030 and 2052. The Report mentions the need for an unprecedented, economy-wide transformation and upscaling of new technologies in each sector for carbon emissions to decline by 45 per cent from 2010 levels by 2030 and net-zero emission by 2050. Like the IPCC, the United Nations Environment Programme (UNEP) Emission Gap Report also reiterates the need for raising ambition by several folds. This report also provides a hope of staying within safer temperature levels in view of technical and economical possibilities that exist. The scientific findings must guide the negotiations at Katowice. Both reports have pointed to the need of urgent climate efforts. Therefore, not only is a balanced and robust Rule Book essential, Katowice launching a process to raise climate ambition of all Parties by 2020 is equally important. To maintain the environmental integrity of the Paris Agreement, decisive and ambitious outcomes, informed by science, are must.